I am writing from the airplane over Greenland. I can’t be sure of that because it’s complete dark and will remain that way for several hours. We’ve traveled north to indulge in some of that excellent winter darkness. Maybe it’s the excitement. I haven’t been to Iceland in five years. It holds a special place in my heart because this is the first adventure my partner and I went on together. This is where I began my blog. With the colorful front doors of Reykjavik. We got off to a rocky start in Reykjavik. After sitting touch at a Thai restaurant and not being served, we gave up and ate an expensive meal that burned my tongue at Cafe Loki. I was uncomfortable in my many layers of clothing, which were itchy and hard to walk in, and made me sweat underneath. The weather was also grating on me. We arrived on a particularly windy and rainy day where the rain blew into my face no matter which direction I looked. 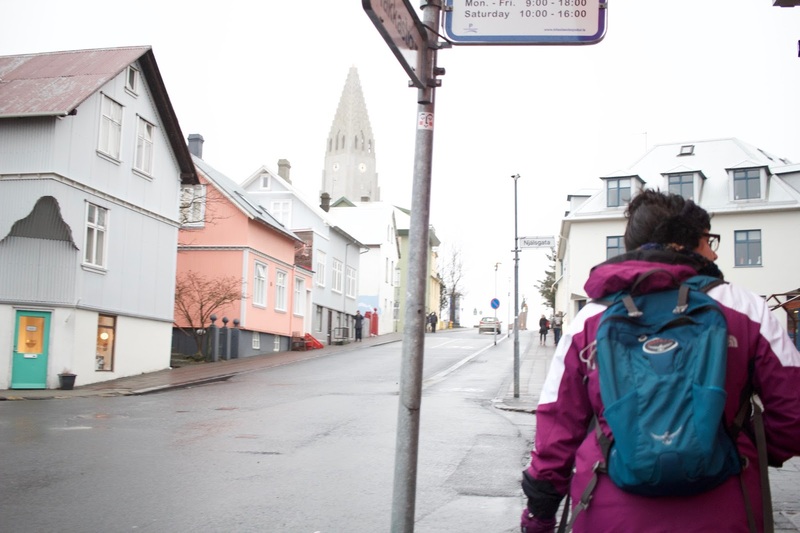 There were so many English-speaking tourists that I am convince Reykjavik has lost its magic. It is not a city of nostalgia, it a packaged place with a pre-determined experience. At 2:55pm on the day we arrived I am so so so tired. I hate this cafe and the fact that we have to sit facing the bathroom. And the fact that I just spent 24 dollars of two coffees and a chocolate bar. The sun is already coming up in Reykjavik. I mean, we can’t see the sun but the sky is getting lighter. As we move norther though, we’ll be chasing the darkness. Perhaps we will arrive in Isafjordur at dawn. It will be 11:00am. I will always remember this morning - walking in the dark in a silent and empty Reykjavik while eating a buttery croissant. It felt like 9:00pm but it was just before 8:00am. My body grows tired with the darkness.